How to Assess your Tennis Court Lighting System? Achieve greater lighting levels by using lower wattage LED bulbs. If you’re looking to upgrade your court’s existing lighting system, it is important to understand how your current lighting design measures up to American Sports Builders Association (ASBA) standards. Ideal tennis court lighting needs uniform light that is evenly distributed among various points on the court. Measure the light intensity. Take some light readings on your court surface, or the PPA. This is when you measure the illumination levels across the playing surface. PPA stands for Principal Playing Area. According to the ASBA, this area requires the most adequate lighting. Measure the light levels with a Lux meter. Use a light meter to measure the light levels within the PPA. This measurement tool will record the foot-candles or lux of the court surface. Compare levels with regulation standards. Using the regulation standards for tennis court lighting expressed by the ASBA, compare your level of lighting to the recommended levels. You can determine, based on your court’s level of play, the type of lighting you will require should you decide to renovate or upgrade your lighting system. Got a large lighting project? 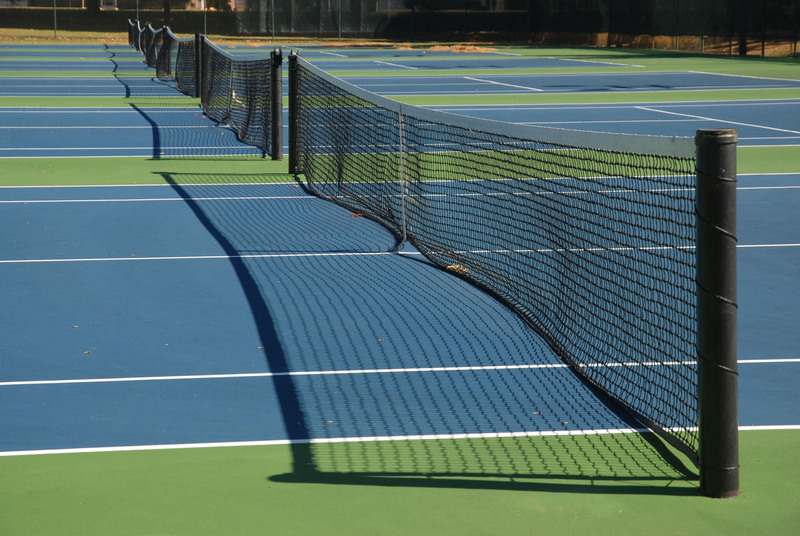 Let us help you find the perfect lighting design for your tennis court! Did you find this blog helpful? Let us know in the comment section below! For blog updates, free giveaways, cool videos, funny memes, and more, follow us on Twitter and like us on Facebook!